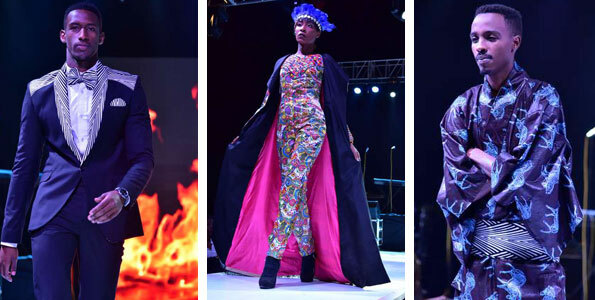 The fashion industry has caught the attention of Rwanda’s creative and arts world. The Kigali Fashion Week has led to the growth of the industry in Rwanda, and throughout East Africa. Initiated seven years ago by John Bunyeshuri, the Kigali Fashion Week was inspired by Jessie Bunyeshuri, John’s New York-based daughter, who, 14 years old at the time, had a passion for fashion; he went into the business as a parent in support. Kigali Fashion Week started with only seven local designers, among them Francis Zahabu, Cynthia Rupali, Patrick Muhire and Colombe Cyusa. Bunyeshuri said there was a negative perception of the event, as elites and the corporates class didn’t want to associate with fashion; there was a belief that fashion was for idle “street” girls and boys. Bunyeshuri’s exposure in the UK, the US and Europe showed him how profitable the industry could be. “Incorporation of regional and continental designers and models from various countries changed the perceptions of the people,” he said. In addition to local designers, Kigali Fashion Week had participants from Burundi, Kenya, Uganda, the US, Belgium, India, South Sudan, DRC, South Africa and Japan. The Rwanda Fashion Council, run by local models and designers, links Rwanda to the Commonwealth Fashion Council, and partners with international PR companies. This year’s grand finale took place on June 24, at Century Park hotel in Kigali. It showcased local, regional and international designers. With 12 countries participating, the event featured 22 designers who included Beauty Face Invention, Amizero, Delphine Fashion House, Uzi Collections, Moshions and Inzovu, all from Rwanda, Junko from Japan, CE Designs from Burundi, Jamil Waiji Couture and Sheena from Kenya, Malvika from India, Congo’s Lupita Collections, South Africa’s AFRIEK, Ji-Al Fashion House and EYE B from Uganda, U5 Enterprises from the US, An Buerman from Belgium, and South Sudan’s Winnie Godi Fashions. More than 60 models from Rwanda, Burundi, Uganda and South Sudan took part, and went through workshops, training and networking. Jamil Waiji’s garments were characterised by skirts or trousers with tops made of light, silky fabric, and jewellery to complement the outfits. Eye B featured classy outfits suited to the middle class corporate: The outfits were a fusion of African and modern fabrics. The collection by Moise Turahirwa of Moshions was inspired by Rwanda’s Umukenero, an ancient treasured dressing. Junko featured the kimono, with creativity, as some of her outfits were entirely made out of kitenge. The Kigali Fashion Week partnered with the Afro-Egyptian Fashion Show earlier this year, which featured Rwandan and Egyptian designers. It is also planning an indoor fashion show with Indian designers. “This is in line with the promotion of cultural exchange among countries,” Bunyeshuri said. The Kigali Fashion Week also plans to partner with designers in Kenya to set up a Fashion Development Consortium later this year, which will also work under the Commonwealth Fashion Council.“ We look forward to opening doors for designers from various countries. We would want to develop a fashion industry, not just for fashion shows, but to be visible globally,” he said.